It is the last moments of 1937 in Soviet Azerbaijan and the clocks have stopped. The neighbour has just been taken away but Man (Colin Burnicle) works for the Party and has just received protection. Him and Woman (Norma Butikofer) are ready to open their black market champagne when they hear a knock on the door. Someone has a quota to fill. And he isn’t from the NKVD. Based on the play ‘Citizens of Hell’ by one of Azerbaijan’s leading literary voices, Elchin, Timothy Knapman (book and lyrics) and Laurence Mark Wythe (music and lyrics) have created a highly impactful, beautifully-crafted musical. What are people prepared to do to survive, it asks, and how many lies are people prepared to tell those closest to them? As the couple are forced to face what they have each done, a harsh light is shone on this culture of fear and the limits that it pushes people to. The fantastic actor-musician ensemble, dusted in white, edge the space, a perpetual haunting presence as they revolve between victims of the purges, colleagues and friends. Leon Scott’s visitor is enthralling onstage. He has an infectious presence and an irresistible charm, that feels wonderfully dichotomous against the chaos and confusion he leaves in his wake. Burnicle and Butikofer as the couple cracking beneath the pressure of their revelations, deliver nuanced and convincing performances, as the characters are pushed to their extremes. Elliot Squire’s set raises their apartment just slightly, a traditional setting complete with a lounge area and dining table. The edges of this space are illuminated, a contemporary finish that creates a thin boundary between the ever-present ensemble and the central set. Stalin’s image hangs large and high above the stage. 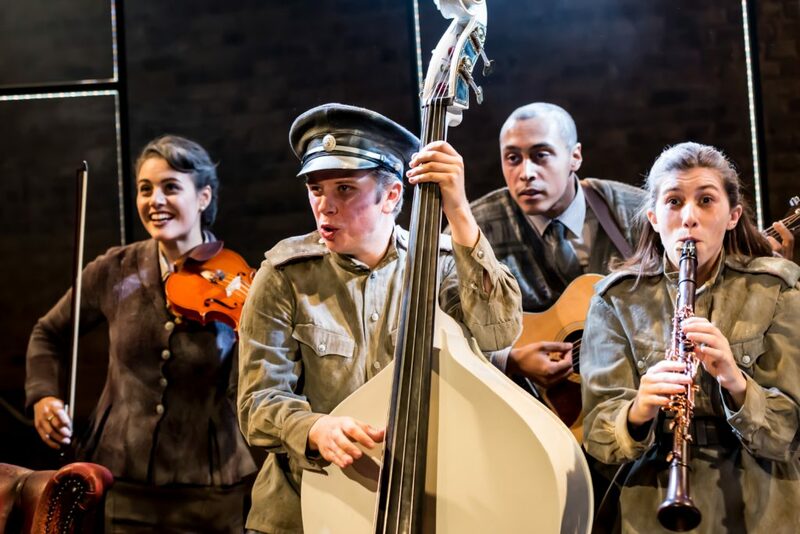 It’s an unusual topic for a musical but one that translates surprisingly well. The score meanders between eerie musical moments lead by the ensemble, playful musical comedy segments, and more moving ballads from the couple. There is a lovely simplicity within the score that feels necessary to both the intimacy of the narrative and the size of the space. It is also delivered by a highly competent group of vocalists and musicians. Moving us with ease between thriller, comedy and drama, this is a complex, well-crafted new musical, delivered by excellent performances, under the strong direction of Kate Golledge. 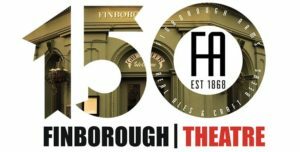 Commissioned as part of the Finborough’s ‘Celebrating British Music Theatre’ series, “The Biograph Girl” is playing on the London stage for the first time since its 1980 premiere. With book and lyrics by Warner Brown and music by David Heneker (the composer of “Half A Sixpence”) it is a celebration of Hollywood’s glorious era of silent film, charting the fifteen years during which the industry transformed itself from its disreputable, ‘fleapit’ beginnings through to the birth of the first talking pictures and its glamorous multi-million dollar prime. In 1912, no self-respecting actor would appear in the “flickers”, as they were referred to, but by 1927, those same artistes, with the help of trail blazing moguls, laid the foundations of the movie business and launched the Hollywood star system. The show is a nostalgic reminiscence of the silent movies, a tale of the heartbreaks and triumphs of the key players, concentrating on the flawed genius of director David Wark Griffith, along with Mary Pickford and Lillian Gish, both of them great silent film stars. Mary Pickford was known as ‘The Biograph Girl’ – after the studio – though this telling of the story fails to justify her having the titular role. This is very much Griffith’s story, played with a cool assurance by Jonathan Leinmuller. Sophie Linder-Lee’s Pickford, while emulating the original character, replaces her outward innocence with petulance which distances her from the audience’s sympathy. Instead Emily Langham quietly pulls focus with her sensitive portrayal of Lillian Gish – the ‘First Lady of American Cinema’. 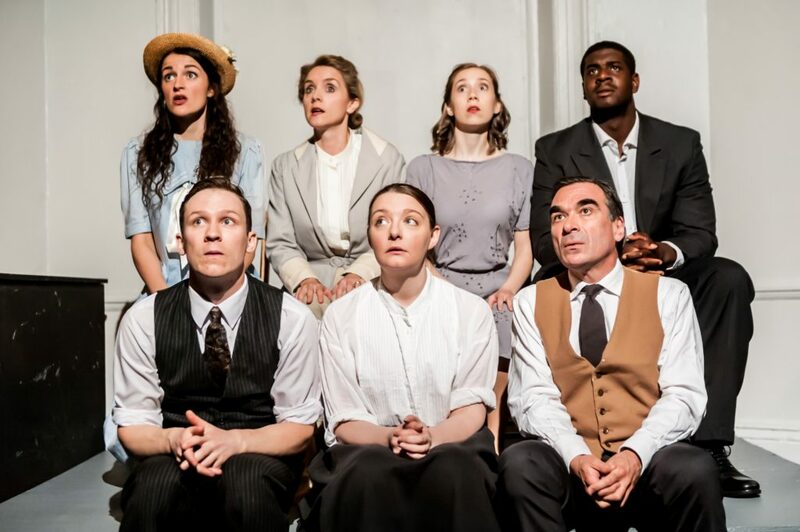 The intimate space of the Finborough captures the ad hoc feel of early cinema where everything was done on a shoestring and sets were often cramped and improvised, and in this way the piece certainly lends itself to the confined dimensions of the theatre. The almost total lack of set however, whether a deliberate concept or one dictated by budget, strips the play of any sense of location. Likewise, Holly Hughes’ choreography abandons any perception of the period. What does capture the moments of nostalgia and hold our attention is Warner Brown’s book and David Heneker’s music. The tunes are sophisticated yet still memorable. One particular highlight is Joshua C. Jackson’s heartfelt rendition of ‘Rivers of Blood’, a politically charged number that was cut from the original production. The cast deliver the ensemble numbers with a collective poise that emphasises Heneker’s skills as a composer, while Musical Director Harry Haden-Brown calmly navigates them through the score. Sometimes too calmly. And there lies the problem with this production: there is no turbulence. Occasional ripples stir up the action but the whole staging needs a good shake up. Director Jenny Eastop has missed a whole bag of tricks and has merely delivered a monochrome product that should be fizzing with flashes of light and shade. It is a gift of a story, and a much more innovative staging is needed to do justice to this hugely talented cast too. The subject matter (and Heneker’s music) is too important. In his heyday, poetic beauty was something David Wark Griffith most wanted from the screen. He felt that the motion picture industry was losing sight of that, declaring later in his life: “We have taken beauty and exchanged it for stilted voices”. Eastop should take note.